Audience: Professionals in the food industry. 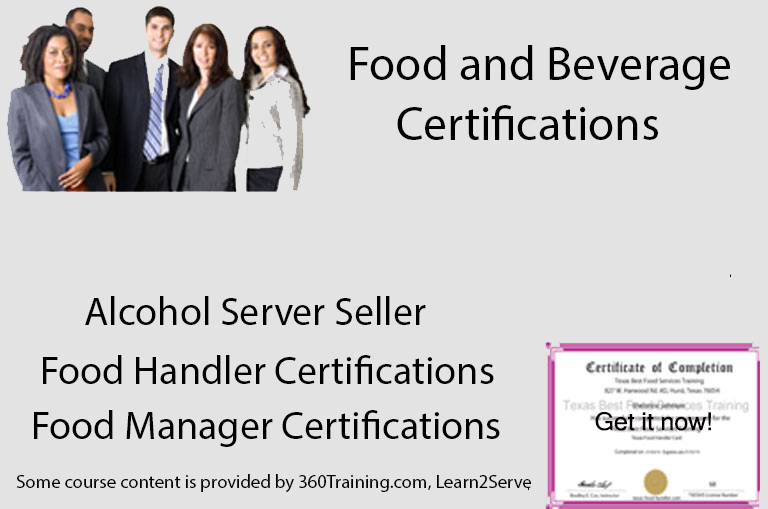 This package includes the Learn2Serve Food Management Principles course and the Texas Food Safety Manager Certification Examination. This package will cover food safety issues, regulations, and techniques to maintain a food-safe environment, and will provide help prepare the learner for the Texas Food Safety Manager Certification Examination. Upon completion of this course, the learner will be able too: To develop a better understanding of Food safety, its importance, and those who enforce it. To get acquainted with food-borne illness and what causes it. To become familiar with biological, physical, and chemical contamination. To better understand temperature control. To learn the importance of proper personal hygiene in the workplace. To get a better understanding of cleaning, sanitization, and facility design. You will have to pass the Final Exam with a 70% to get credit for completion of both the course and exam. Each quiz must be passed with 70% or higher to move forward to the next lesson. The final exam must be passed with a 70% or higher to get credit for completion of this course. The 360training was very educational. I would definitely recommend it to a friend. I love the way you guys set up the training modules. They keep you interested in learning! As a manager, I recommend this site for any of our certification needs. Very interesting and learning experience. Taught me cleanliness and how to appreciate foods. I would recommend family, friends, colleague and more about the 360training class.Thanks for allowing me the opportunity. Great website to learn what is you do not know about the foodborne. Loved learning through this site! I feel the information provided is outstanding, at a fair price. I will be using 360 in the future. 360 Training is the best and most convient way to learn and receive certification I have ever used.